The town of Wijk aan Zee lies on the coast of the North Sea in the North Holland province of the Netherlands, some twenty kilometres from Amsterdam. It was put on the map due to a chess event that it hosts, featuring an interesting blend of fourteen players. In its 81st edition this year, Wijk will host the Tata Steel Chess Tournament from the 12th to the 28th of January, featuring a mouthwatering field that includes four out of the top five players in the world, alongside chess legends like Viswanathan Anand and Vladimir Kramnik and young talents like Vidit Gujrathi, Jan-Krzysztof Duda, Jorden van Foreest, Richard Rapport etc. Ever since 1938, the Wijk aan Zee tournament has been conducted annually, with the year 1945 being the only exception when the tournament wasn’t held due to World War II. 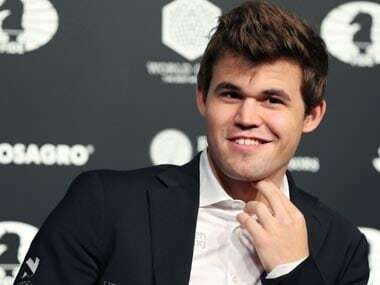 Thus far, the premier event of the tournament — which has often been described as the Wimbledon of Chess — has seen a long list of famous winners with world champions like Max Euwe, Anatoly Karpov, Garry Kasparov, Anand, Kramnik, Magnus Carlsen etc among them. 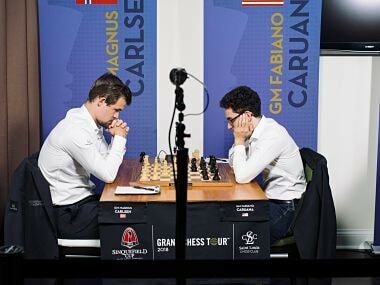 This year, the tournament’s defending champion, Carlsen will be eyeing his seventh title. Meanwhile, Anand, whom Carlsen had surpassed last year in terms of highest number of title wins at the event, will try to level scores with the reigning World Champion by clinching the sixth Tata Steel trophy of his career. In terms of rating and recent form, Carlsen is definitely a clear favourite at the event. Anand, on the other hand, is seeded sixth. And, with strong opponents like Shakhriyar Mamedyarov, Ding Liren, Anish Giri, Kramnik etc, besides Carlsen, winning the event will be a very tough task for the Indian ace. Another Indian to watch out for will be the Nashik lad, Gujrathi. Although the last few months have been tough for him, Gujrathi has proven his worth time and again, holding ground against the very best in the world. 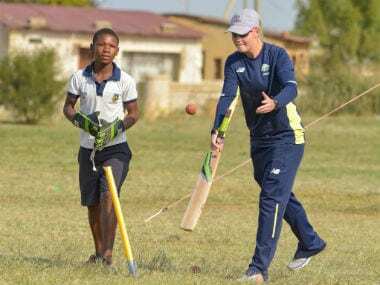 He is also well known for his solid style of play and excellent opening preparation and if he could find his form, he could give even the very best in the field a run for their money. Also, unlike the other players in the field, Gujrathi isn’t an invitee. He has earned his spot into the premier segment of the tournament by winning the Challengers segment last year and would be looking to prove that he belongs among the ranks of the very best in the world. Prior to Gujrathi, Chennai-based GM Adhiban Baskaran had won the Tata Steel Challengers back in 2016. In the subsequent Masters’ event, he had become the talk of the tournament after defeating strong Grandmasters with unorthodox openings and finishing third in the end. Gujrathi’s style of play and overall attitude, however, is very different in comparison to Adhiban’s. And while it could almost be considered a given that unorthodox openings will not be seen in the opening arsenal of this year’s Masters’ qualifier, it would not be wrong to expect Gujrathi to score some major upsets. The Challengers’s group also features a very interesting lineup this year. 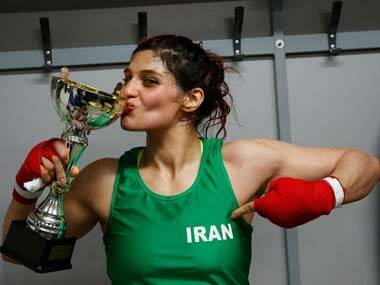 Besides the last year’s runner up, GM Anton Korobov, the field includes the reigning World Junior Champion, GM Parham Maghsoodloo of Iran and two very promising teenagers: German international master, Vincent Keymar and R Praggnanandhaa of India. At age 13, Praggnanandhaa will be the youngest player in the field. But despite his age, he is far from being the weakest player — be it in terms of form, or rating. Having become the youngest Indian Grandmaster last year, Praggnanandhaa is currently rated 2539, which is his career-highest, and is ranked ninth in the fourteen-player field. As for Keymar, this will be another chance to book his berth into a major international closed event. The 14-year-old German, who was relatively unknown until last year, caught the eye of the world with a stunning win in the Challengers’ segment of the Grenke Chess Classic, where he ahead of bigwigs like Richard Rapport and Peter Leko. 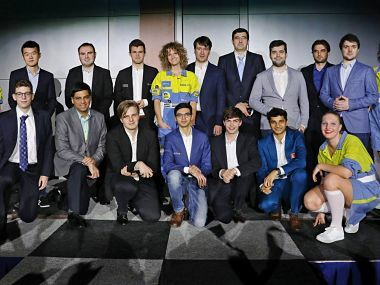 With such fascinating fields in both groups, the very first elite event of the year is poised to witness some exciting chess in the coming days. All rounds in Wijk aan Zee start at 13.30 pm local time (18.00 pm IST), except the last round, which starts at 12:00 pm (16.30 pm IST). The Chess-on-Tour rounds (5 and 10) start at 14.00 pm local time (18.30 pm IST).